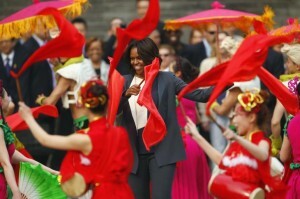 David USA Education (DUE) offers services in cultural and educational group trips to China for schools and individuals. DUE has developed close collaborative relationships with a large network of schools, universities, and travel agencies in China that provides wonderful educational , cultural programs and tourist services. At present, we focus on two programs: educator group trips and student cultural camps. We also work with schools, school districts, colleges, universities, and training centers in the US in developing study trips and cultural camps catering to the needs of various participants. DUE provides a summer program combining teaching and tourism for teachers and retired teachers. We have been working with schools and school district to recruit teachers and retired teachers who are interested in having a 45-60 days trip in summer (July and August)that involves sightseeing and teaching in China . Participants will spend 15-20 days as tourists, visiting the famous cities of tourism–Beijing, Xi’an, Shanghai, and Guangzhou. They will then settle down in Guangzhou and/or Shenzhen and teach English at Summer English school or camps for four weeks. Teachers will have free accommodations and get paid for teaching at the summer programs. Please contact us for detailed compensation. DUE works with schools and colleges to develop unique Chinese cultural camps according to the camp participants’ requirements. For detailed information, please contact us. Working with schools and colleges both in China and the US, DUE develops short-term group study-trip programs for Chinese students to have learning experience in the USA. We provide services in program planning, partnership information and negotiation, student activity coordination, visa application and traveling assistance for American culture and languages summer camps, special study tours, and English teacher workshops. We will also work with our Chinese partners to recruit students and English teachers for these programs, which will be hosted by the US schools and colleges. Please contact us for detailed information if you are interested in hosting the Chinese learners programs.